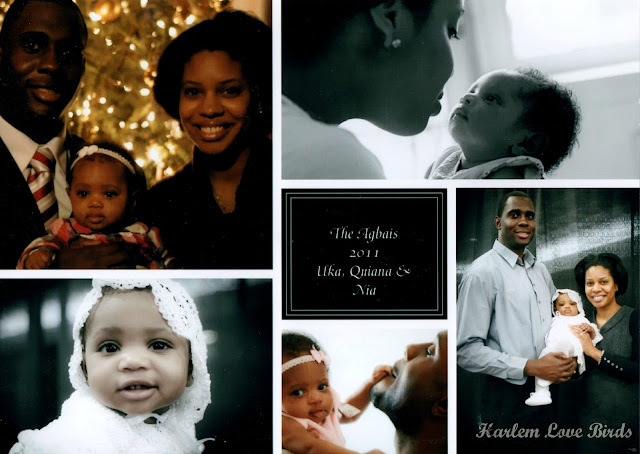 We had a holiday card for 2012 but never shared it. See what had happened was . . .
And here are the previous years' cards . . . Anyway, I have a dress I've been holding onto for a couple years for Lil Love Bird to finally wear this year as well as her hairstyle in mind for her photo for our 2013 card, but now I need to pull together family pics of all of us throughout the year for the final collage. What are your thoughts on annual holiday cards? Too much of a hassle or a must? P.S. 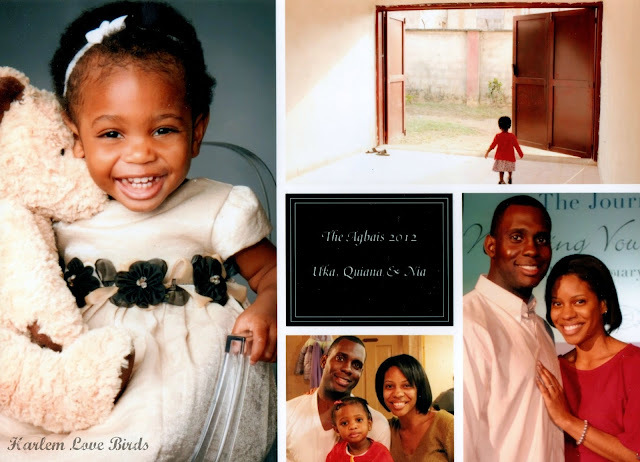 I did get holiday photo cards out to Nia's grandparents and great-grandparents on time; you can see that version here!